Do you have any comments or questions about this website or about Identity Theft? Perhaps you have had an experience you would like to share? Or is there anything you like to see on the site that would help others? Please feel free to contact us here. We welcome your comments and would love to hear from you. 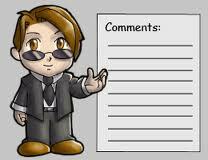 Your comments will help us improve the website for others. Please check that the email address you have given us is correct or we won't be able to respond to your comment or request.